Fighter Squadron 111 (VF-111), also known as the Sundowners, was a fighter squadron of the United States Navy. It was redesignated as VF-111 on 17 September 1964 and disestablished on 31 March 1995. In 1961 the Sundowners' traditional mascot, "Omar," painted on the fin top, was conceived by squadron enlisted men to mark the transition to the F-8D Crusader. The triangular stick figure appeared on VF-111 aircraft and squadron spaces. During the 1960s, VF-111 flew four different versions of the Crusader (F-8C/D/E/H). 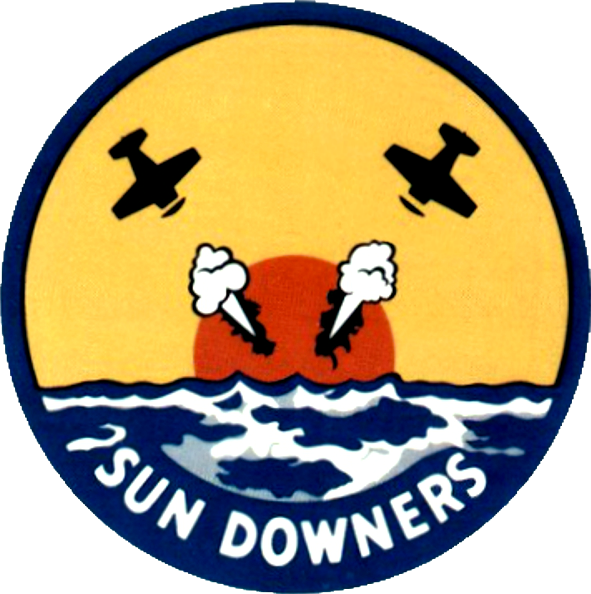 During the Vietnam War the Sundowners were based at NAS Miramar, California with the squadron (including detachments) making ten deployments to Southeast Asia,flying 12,500 combat sorties. VF-111 was equipped with F-8Ds, F-8Es and F-8H and was deployed on USS Kitty Hawk, USS Midway, USS Oriskany, USS Ticonderoga, and USS Shangri-La from 1964 to 1971 during Vietnam War. This is the price of the painting services to be added to the kit costs.